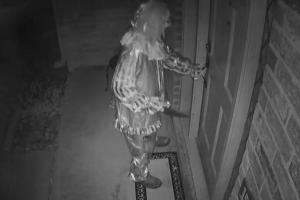 Home video captures the frightening moment a knife-wielding clown attempts to enter a home. a firefighter suffers a devastating fall while trying to rescue a hiker in hawaii. 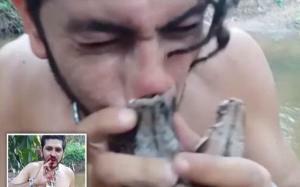 A rainforest activist gets attacked by python while trying to eat a live tarantula! a prankster dresses as santa clause and scares people with some pretty crazy antics. eerie video prank featuring a telekinetic priest and immaculate precision on the stunts. video of a prank featuring a scary toddler wielding a knife. Tale Of The Dead Girlfriend Prank! a prankster in a bloody outfit leads unsuspecting people to a swing for a big surprise. 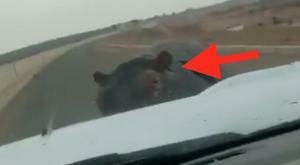 video of a prank inspired by the movie "friday the 13th." 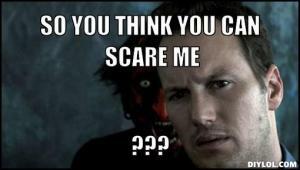 crazy video of a halloween prank involving a chainsaw and a prankster posing as a badly mutilated victim. vitalyzdtv and nick santonasto teamed up for this terrifying chainsaw macre prank, just in time for halloween!